At times there are no obvious symptoms of indoor air quality impairment; however, smooth functioning does not mean that your heating and cooling system is working as well as it should. The heating and cooling system is totally based on the distribution network, which supplies warm or cold air in every room of the home or office. No matter how much you paid to have the best heating and cooling system installed in your home or business, if you have not installed appropriate air ducts, then your system might not be able give even 50% of its capacity. There are several ways in which air ducts can become damaged, and any one reason can lower the efficiency of your heating and cooling system. Such is also the case with the newly purchased system. Having a new heating and cooling system does not give you the assurance that it will operate swiftly all the time. Therefore, you will need to make sure that you have installed right type of air ducts in the correct manner. If your home or office gets extra cold in the winter and extra warm in the summer, that should be your cue to let you know that it is time to call us at Yorba Linda Air Duct Repair. 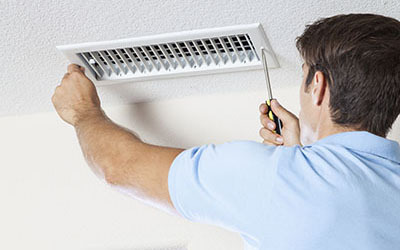 Air duct repair services may include: the replacement of undersized or oversized air ducts, air duct seal repair, air duct coating repair, HVAC Unit repair, and HVAC maintenance, among other beneficial air duct services At times the standard length of the air ducts for every room is not suitable, and larger air ducts may need to be installed in specific rooms or offices. Please be aware of the fact that there are different types of air ducts, one of which is the flexible air duct. If you have flexible air ducts installed in your home or office for 10 to 15 years, they will most likely need to be repaired, as with passage of time flexible air ducts will have poor insulation. Moreover, at the time of installation, there are some connectors who do not completely seal the air duct connections, which will lead to indoor air dissimilation in the attic, basement, or walls. The sealing and insulation of air ducts leads to more comfort for all. The repair activity improves the indoor air quality, as sealing of ducts will ensure that polluting agents will not enter your home or office, leaving your home premises safe and healthy. Leaking air ducts not only lower the efficiency of the heating and cooling system, but also causes an increase in the utility bills. This is due to the fact that the gas is leaking, which in turn burdens the household or office with excessive billing. Gas appliances such as the water heater, furnace, and clothes dryer, emit combustion gases during their normal operation, and if there is a leakage in the air ducts, it may create back- drafting (which means that innstead of these emissions being taken out of the home or office, they may be drawn back on to the premises). The sealing of the air ducts will prevent this from happening. 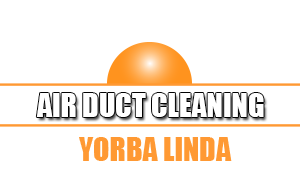 If you are in desperate need of air duct repair, drop what you are doing now, and pick up the phone and call us or visit us at Yorba Linda Air Duct Repair. We are ready and willing to serve you today.